Gas prices are rising. But you don't have to sit back and lose money. Hear that sucking sound? It’s more money flowing from your wallet and into your gas tank these days. Thanks to the growing global economy, demand for crude oil has surged in the wake of lower supplies. At the same time, demand for gasoline and other refined products has only increased. The end result is that gas prices have gone through the roof in a short amount of time. 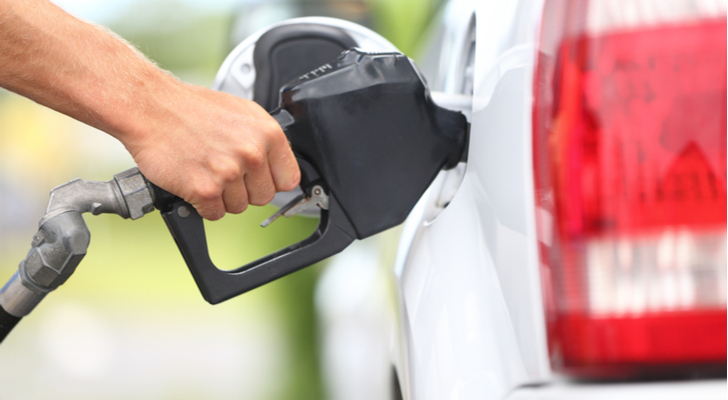 Currently, gas prices are averaging $2.89 per gallon according to auto club AAA. That’s about 20 cents higher than last month. Prices have now hit levels not seen in more than three years. With those higher gas prices, American’s shelled out an extra $4.4 billion in April than they did during April of 2017. And with the summer driving season just around the bend, analysts expect us all to be paying well over $3 per gallon when we fill up our tanks. But those higher gas prices can also fill up our portfolios. There’s no reason to suffer from the higher costs. With these stocks to buy, we can profit from it and just maybe defray some of the costs. But what to buy? Here are three great stocks to buy to play rising gas prices. It stands to reason that higher gasoline prices benefit the firms doing the refining. And with $70 per barrel oil and $3 gasoline, the refiners are currently in the sweet spot — not too high in terms of feedstocks, and not too high to choke off consumer demand. Crack spreads remain robust. For leading refiner Marathon Petroleum Corp (NYSE:MPC) this is great news. Already, the refining giant saw some impressive revenue and net income gains during the last quarter. With crack spreads still favorable and demand rising, Marathon should be able to clip more profits this quarter. And those profits should keep coming into the future. That’s because MPC is in the process of buying rival Andeavor (NYSE:ANDV). ANDV — which was created when Tesoro purchased Western Refining — specializes in refining sweeter and lighter crude oils. This type of crude oil is produced in abundance in America’s shale regions. Margins are even juicer for refined products using these crude oils. With the buyout, MPC will become America’s largest refiner, featuring miles of pipeline infrastructure and positioned to take advantage of the various crude oil differentials with ease. That should continue to strengthen MPC’s dividend and cash flows. For investors, Marathon offers a great way to profit from higher gas prices — both today and into the future. As we said in the opening, Americans spent an extra $4.4 billion on fuel thanks to higher gasoline prices last month. You know what they didn’t spend that money on? Movie tickets, televisions, and other consumer goods. With prices only expected to rise further this summer, that’s a lot of lost spending going right into our tanks. With that, consumer stocks should actually start to suffer in the weeks ahead. Point blank, there will just less money to spend at Starbucks (NASDAQ:SBUX) or the Gap (NYSE:GPS). And that makes shorting them an interesting take on rising gasoline prices. You could find some individual stocks, take out a margin loan and short the shares yourself. Or you could use a product like the ProShares UltraShort Consumer Goods (NYSEARCA:SZK). SKZ shorts the 107 stocks in the Dow Jones U.S. Consumer Goods Index. The key is that SKZ uses a bit of leverage to juice returns. In this case, its 2x the daily movement of the index. While over the longer term, that leverage isn’t so great. But for a short-term play like this, it can be beneficial and add to returns. All in all, for investors looking for a quick trade, SKZ could be an easy win over the summer. According to the Federal Trade Commission, over the last twenty years, changes to the price of crude oil have caused roughly 85% of the changes in retail gasoline prices. And that’s what is happening now. Higher crude oil and greater demand is causing the rise. So, betting on the various E&P firms that directly tied to oil prices has makes a smart gasoline play. EOG was one of the first movers in hot shales like the Eagle Ford and Bakken. As a result, the firm has some of the best acreage in these prolific fields. More importantly, that first-mover status has allowed it reduce its costs considerably versus rivals. This provides EOG with some of the lowest costs and best margins per barrel compared to other rival E&P players. As oil has risen, so has the energy producer’s profits. The firm reported a hefty $1.19 per share in profit last quarter — 19 cents better than analyst expectations. This should continue as oil has only gained further. Add in its constant buyout premium, and EOG is one of the best energy stocks to own period. But with gas prices rising, it makes even more sense. 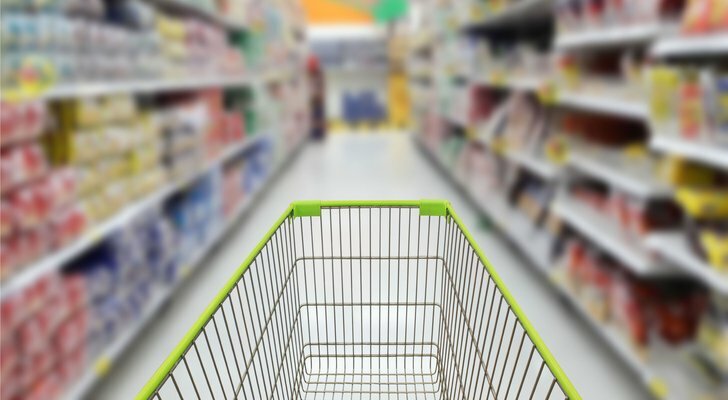 Article printed from InvestorPlace Media, https://investorplace.com/2018/05/rising-gas-prices-stocks-to-buy/.